Diet complements one’s exercise by providing the nutrients necessary to build up muscles, not just to supply energy. In order to gain muscle mass, it is preferable to take a lot or protein, which is often economic enough in natural forms and not in powder-based supplements such as whey protein. Eggs are a rich source of protein with 6-8 grams of protein per egg depending on its size. The drawback of eggs is the high level of cholesterol which typically, by convention, limits its consumption to 2 per day. Then there is fish, which is high in protein content and low in fat content. In fish, protein typically amounts to 20% of the overall mass, depending on the fish, the processing method, and the part of the fish. Tuna, for instance, can be up to about 28% protein if served in chunks. Like most fish, tuna comes with condiments and in various forms that include preservatives. It can be oil (of all sorts), water/brine, or even tomato sauce. It does not exactly matter which one is chosen, but the oil-dipped fish tends to just contain more undesirable fat. Tuna in general tends to also contain high levels of calcium, so it should be eaten in moderation. Sardines are another convenient source of protein. They are economic because they still exist in abundance and they are mostly processed if they are purchased in tin cans. These can also be cooked in a a stew, just like other forms of fish that tend to require more processing and potentially a long cooking process. Fish offers omega-3 fatty acid that is not as abundance in chicken for example. Although our body is unfit to deal with a lot of dairy (this is said to depend on blood types), milk contains a lot of protein that can substitute water and also mix with many types of cereal. As for water, it is better off chosen over any sweet drinks that are mostly a modern luxury and an explosion of energy we do not truly need. For sugars we are better off with fruit and to a lesser degree vegetables, of which we need about 5 small servings per day. Originally, this was a human’s primary source of carbohydrates (which are found in very many foods these days, even in the form of harmful artificial sweeteners). Another type of food to keep away from is that which is high in fat content, e.g. cheese, cream, and certain cakes. It’s best to keep these off one’s life (or fridge) to avoid the occasional temptation. Discipline is made easier by responsible limitation. To summarise this dietary recommendation (specifically written for someone looking to gain muscle weight), ensure intake of sufficient fruit such as bananas or apples, choose low-fat meats, consider dairy in moderation, and find a dosage of grain in cereal or other items that complement a meal with fish, even bread. Variety should be important too, but this post is not elaborate enough to go this far. In future posts, other recommendations will be made for those choosing another lifestyle or set of goals. AN ESSENTIAL component of physical exercise is also one’s diet. Without a supply of fuel and nutrition for one’s cells, exercise may not have the wanted effect. Muscle tissue is damaged when muscles are put to task and it is nutrition that builds back the muscles afterwards, usually growing and empowering those muscles as means of adjusting to future exercise. 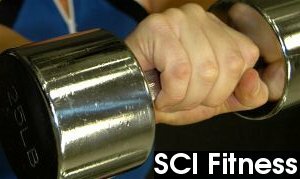 In essence, high-intensity exercise is about the erosion of muscle cells, resulting in increased growth of yet more cells. The food that we eat can be broken down into 6 different types of components, only few of which are involved in much of the muscle-building process. Taken in excess, the body will most likely repel rather than absorb some of those. The key to a good diet is a healthy balance that depends on one’s personal objectives and body type. For heavy weights lifting, the required consumption of protein should typically exceed 100 grams per day, although this depends on the body weight, gender, age, etc. There appears to be some disagreement over the ideal dosage of protein one should strive to consume, but some sources say one gram of protein for each pound in one’s body (so about 0.2% of one’s body weight, daily), but some say that a lot less should be enough, maybe half a gram for each pound of body weight. The type of protein matters as well, but that is a discussion for another day. Protein is broken down inside our body into pertinent amino acids which the body can then reuse to expand its pool of cells, primarily muscle cells and other parts that are instrumental in our principal functions. Unlike carbohydrates, for example, protein is not much of an energy source but more of a building block. Suffice to say, energy too is needed for a good exercise to be carried out and fats tend to require some energy to make them readily available for cell combustion, so for fitness, appearance, and power, it is better to keep consumption of fat as low as possible. To summarise the key points, power/weight gainers should strive to put on muscle but not fat and this can be achieved by increasing the intake of protein and substituting fat with sugars, wherever/whenever possible. Actual food/meal recommendation are a subject for another day.